Phillips Memorial Baptist Church is affiliated denominationally with the American Baptist Churches of Rhode Island (ABCORI) and the American Baptist Churches USA (ABCUSA); and interdenominationally with the Rhode Island and National Council of Churches. Affiliated with American Baptist Women of the US, the ABWRI works on mission projects which help people in Rhode Island and across the globe. Love Gift, White Cross, Break the Chains are a few of their mission projects. Located in beautiful country setting in Exeter, RI, Canonicus is an American Baptist Camp and Conference Center. Year-round conferencing as well as Christian summertime overnight and day camp opportunities are available. 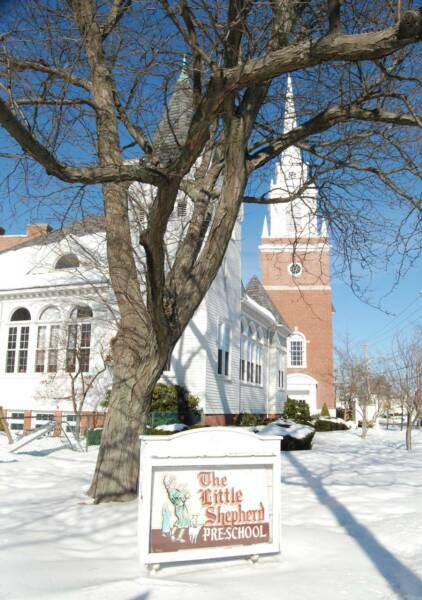 Housed in the original church building at Phillips, Little Shepherd Preschool has been serving the greater Cranston area for over 20 years. It is known for its excellence as a preschool learning center.